What do you get a twelve year old that would rather live in Middle Earth for Christmas? You make them a PVC wood elf bow..
Now before you scoff at a PVC bow, stroll on over to Youtube and watch some guys building 50+ pound recurves, hence why I posted it in “Self Reliance”. 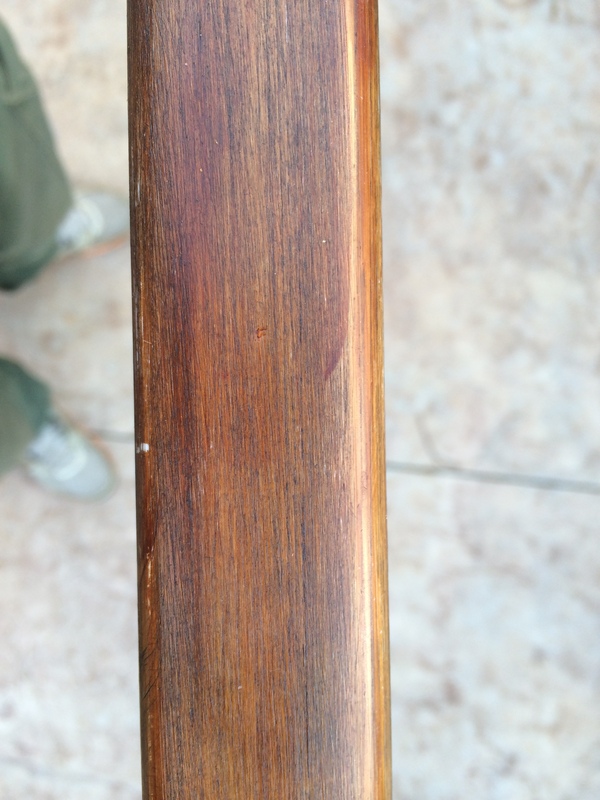 I kept it light at a 20 pound pull, but I am amazed at how good the “faux” wood grain looks from just sandpaper and shoe polish. 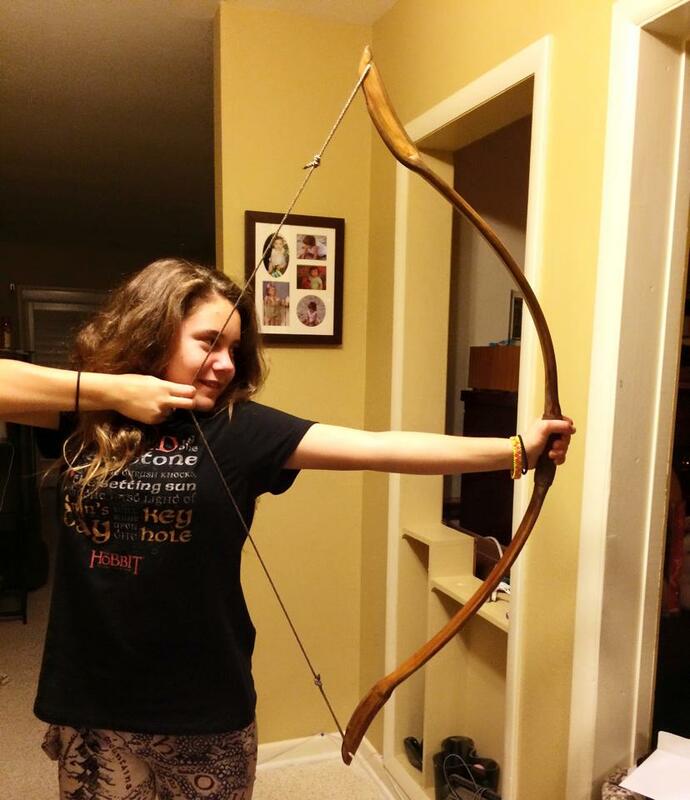 If you are looking for a fun, cheap project that will get your kids outside slinging arrows, this is it. A heat gun, some PVC pipe, some shoe polish, and a length of string. 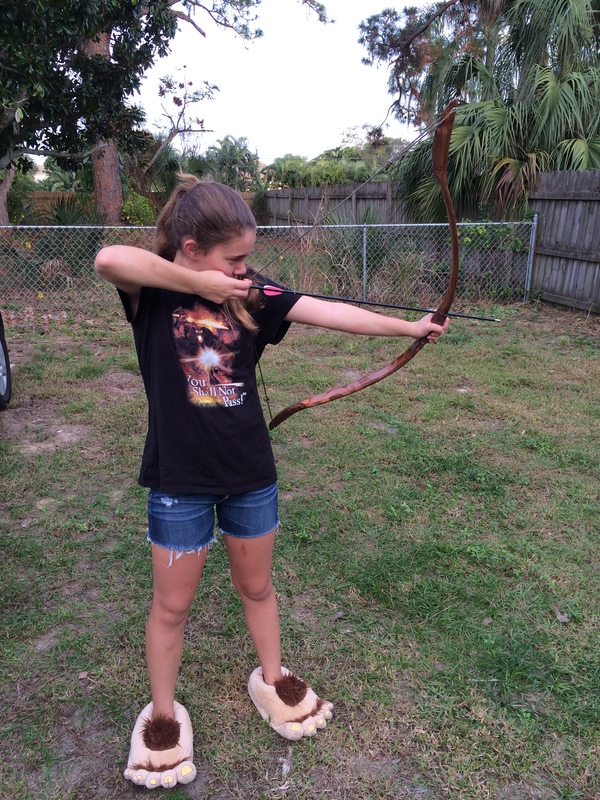 This entry was posted in Self-reliance and tagged hobbit, lord of the rings, PVC bow, recurve on January 4, 2015 by bigpigoutdoors. Yeah bro, it is a fun project. I am going to make a heavier one and see how it runs. Father of the year award to you! Twice! 🙂 I am also a lover of Middle Earth, and even more of Legolas… 😉 Happy New year to you and the family. I sense many adventures to come!